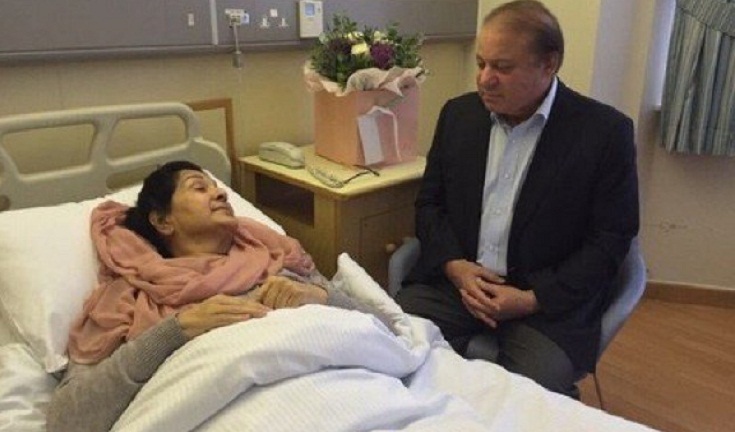 “Yes, the death of Begum Kulsoom Nawaz is confirmed,” Maryam Aurangzeb, a spokesperson of Pakistan Muslim League-Nawaz (PML-N), Sharif’s party. “She was a brave lady,” Siddiq-ul-Farouq, a stalwart party loyalist, describing her as well-educated and dignified. “She told her father-in-law, ‘Dad, I have to go out,’ and he replied, ‘Daughter, you must go,'” he recounted.